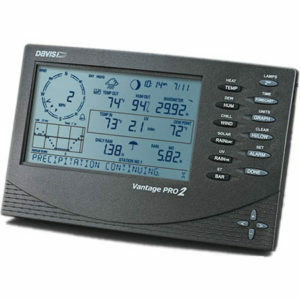 Davis Instruments 6152 & 6152C – AYA Instruments, Inc.
Refresh Rate – A packet of data is sent from the outdoor transmitter to the receiver every 2 1/2 seconds! This means when you look out the window and see the wind blowing, the weather station will reflect it almost immediately. Transmission Distance (wireless models) – The first in its consumer price range to use frequency hopping spread spectrum radio technology, the Vantage Pro2 can transmit and receive data up to 1000′ (300 m) line of sight. 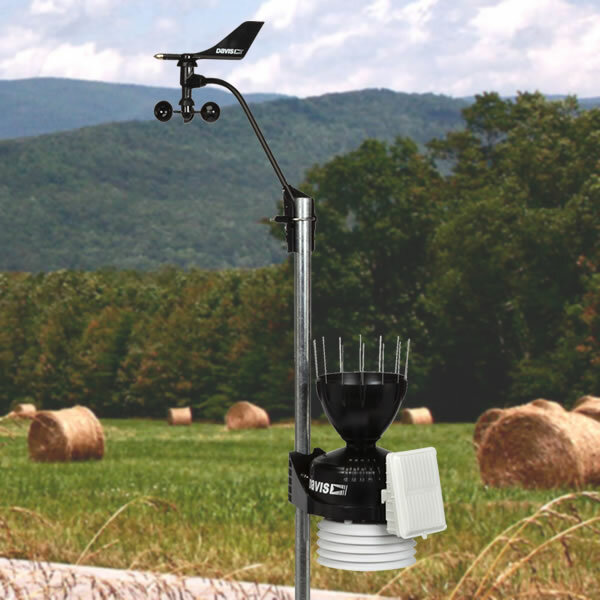 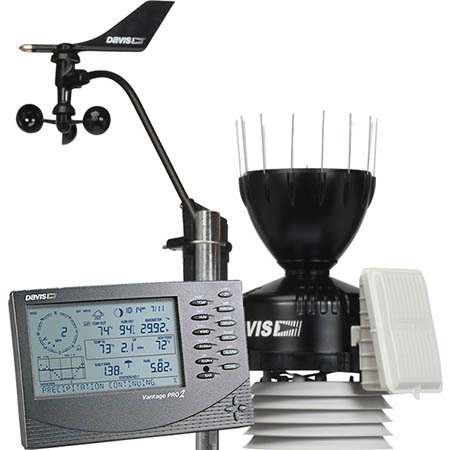 This is a much greater distance than most other weather stations. 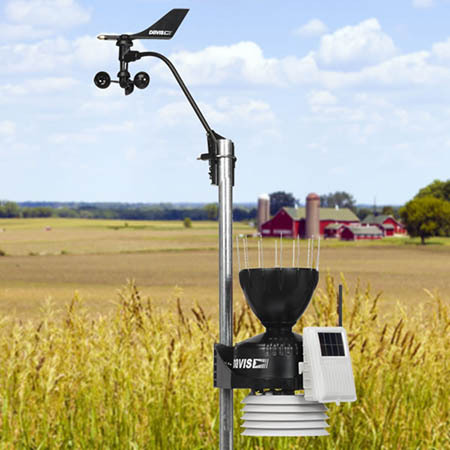 This technology also provides improved reception through multiple walls and greater immunity from RF interference.